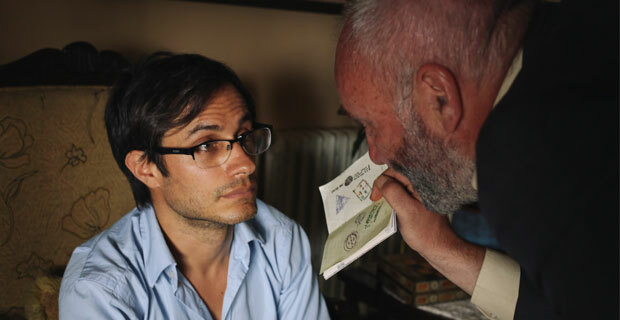 ROSEWATER is a well-intentioned, decently acted 2014 true story that is chiefly notable for being Jon Stewart’s debut as writer & director of a feature film, a dramatic one at that, a departure from Stewart’s beloved role as satirist. The story evolved from a moment of filmed trivia for Stewart’s TV show, involving journalist Maziar Bahari, who was detained in Iran for 118 days as a result. The film serves as somewhat of an act of contrition for inadvertently and innocently (call it blithe naivete) propelling Bahari into brutish captivity and as a look at the cancer of ideological censorship through the prism of one small episode. Fair enough. 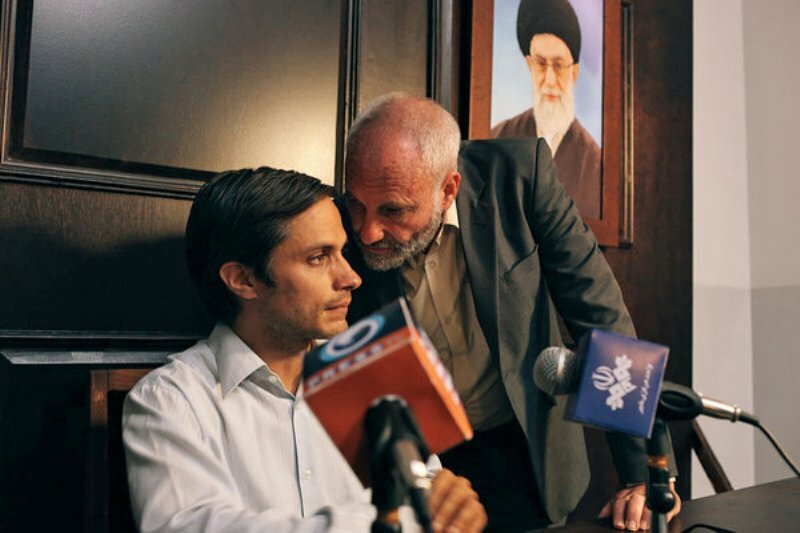 Stewart gets good performances from his cast—Gael Garcia Bernal as the wronged hero, Kim Bodnia as his tormentor, and the great Shohreh Aghdashloo as Bahari’s anguished mother. Acting aside, apart from some scattered cleverness in the writing and a bit of creative visual flash early on, the movie remains unsurprising, less gripping than it wants to be, chiefly because of Stewart’s perfunctory staging. Fault falls on Bobby Bukowski, whose dull lensing of the lengthy interrogation scenes has you wanting to close your eyes and nod off rather than get you riveted with tension. The flat look drains away any atmosphere afforded by filming in Jordan and some footage shot in Iran itself. The small-budgeted film did little box office. Trying to getting audiences revved up for non-fiction stories concerning politics or social issues is regrettably too often an exercise in wistfulness: mention the the neglected Kill the Messenger, Promised Land, Fast Food Nation or Bread and Roses, and see how many hands are raised. Nothing blows up?–no one shows up. Reviews were polite. With Dimitri Leonidas. 103 minutes.